Hello! I am 42 and I started to unknowingly at the time, hear voices at the age of 32. I was led to believe that the voices that I was hearing was either people around me, or tv radio people talking to me. In 2007, the voices, what we call v2k told me that they were men with a machine. They proved it. At first I didn't believe them, but they proved it. I tried meds for years to see if that would stop it. Meds didnt do a thing. Some people get results from meds. There are different theories about why meds might work, but mental illness is one of those possibilities. I personally think Everyone is a TI. Only a few are aware. So, regardless of the cause of voices, you really are a TI! The difference is that the mentally ill likely hears the v2k, and the illness. I dont think it has anything to do with spiritual realm, myself. Others do though. Some claim it might be alien technology. Good suggestion Jinoe.. Will have to try that. I personally do not get v2k but get everything else in the spectrum of EH and RNM -remote neural monitoring and manipulation. I also have physical ailments unexplained for a year now. Also do Have small gangstalking regimen. I personally believe it is a majority of technology but I believe it is both ground and satellite. I also believe they use your electronics and electric energy to pinpoint you and pass the Frequencies and waves. Im undecided. I believe in the technology but I believe someone other than mankind is responsible for this - enter spiritual relm or alien race. I dont think any of us can know for sure. Very interesting info, we live in a BIG universe, much bigger than what we see but our beliefs tend to be boxed into only that which we CAN see. they do report such things - read al bieber about HIS (witnessed) back-to-the-future experience! teleportation has been an open secret in canada since 1952 (year of the nova scotia ufo reported by police, and 5 years after roswell) our former defence chief paul helleyer, pushing for disclosure (as do most retired, free to speak military) says about ufo's: "they're as real as the planes over your head" i've mentioned my own witnessed ufo abduction - and that we've both photographed ufo's 'etc' - just today she took a clear photo with a ufo in it! i will forward it when i can (tech-no skill) how can we be sure it's a ufo? after all, it's just a 'light in the sky' (beside a sunset) with a triangular beam descending from it, not far away BUT - she didn't see it when she shot the photo! the people who "get their brains zapped like that" usually don't report it because of what we birthlings like to refer to as the 'flashy thing' you might describe it as 'mind control' 'again' why i note the parallel of ufo abductees and syn-tel targets both reporting telepathic encounters and mind-control brain implants and the only real "waffling" on time travel ended when, as i've said before, stephan hawkings finally stopped lying about it! hasn't it occurred to you that persinger's god helmet is CONFIRMATION of montauk? it's the same thing! btw eisenhauer himself reported meeting with these 'beings' "waffle, disinfo and speculation" indeed! the sky full of unidentified flying objects ....all it means is the observer can`t make out what they are seeing ...that can simple be from distance ...seeing things at odd angles ....effects of lighting ... plus we live on a planet and theirs all kinds of weird and strange phenomena ...plus the effects on the brain and how we actually perceive (perception) works off the objective world around us .....plus video/cameras especially digital are notorious for lens flares and whole list of artifacts. can YOU 'demonstrate' synthetic telepathy in a court of law? without getting committed? "plus the effects of this..plus the effects of that..." fin27uk you'll notice sue and i and many other members have no trouble at all listening to what each other have to say about just about any topic under the sun we manage to work around our (2) gatekeepers of knowledge who can only tell us what we DON'T know deca go back and read what sue wrote who are YOU to talk about "permissible topics" after accusing others of doing the same to you? "the c.i.a. made up ufo's to cover something ELSE up" haha! "really if you want to speculate" that you have an idea what you're pontificating about THIS time, how about some freaking FACTS?! or how about bringing back those ridiculous pctures of 'nasa space monkeys from 1948' - crashing weather balloons in roswell in 1947! 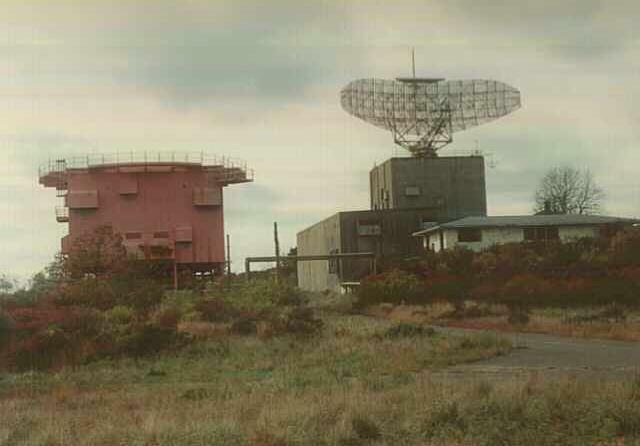 you have done exactly the same thing here - brought evidence to SUPPORT what you are trying to discredit: item 'A': yes, it is indeed suspicious that this 'abandoned' base (obviously you have NOT researched the history, no surprise there) is set up with relevant equipment funny, that, wot? item 'B': indeed - the reports you yourself have heard DO tend to confirm persinger's work, being in fact identical in purpose and effect once again, thank you for providing evidence for my position item 'C' all the things you call 'hallucinations' actually happened (as i just mentioned) - bieber the time travel, eisenhauer the meeting, phildelphia experiment sailors being literally stuck between dimensions - it's a whole big world when you open your mind up just a little crack instead of refusing to look at evidence and then pronouncing authoritatively that it's 'not there' the ostrich school of 'thought' - or is it the 'killdeer' again? 'mother may i' talk about "gangstalking" now? so there is a long sordid history of mankind doing unethical illegal human experiments, supportive evidence that these types of technology are being developed ......there is no need for any paranormal explanation at all ..its all pretty well documented .....the only reason to tag ET,UFOS ,DEMONS is to blur the blatant obvious that this is man-made and play into people's superstitions and draw people away from the truth .